Learn how to turn stress to confidence and distraction to focus using methods that are 110% positive. 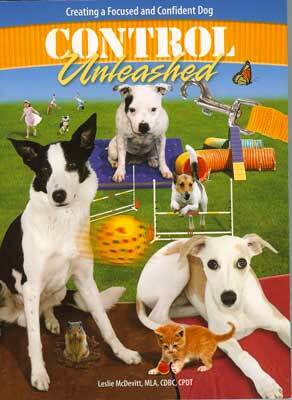 Leslie McDevitt's versatile Control Unleashed® program is designed to help "dogs with issues" learn how to relax, focus, and work off-leash reliably in either stimulating or stressful situations. Whether you're training a challenging dog on your own, an instructor trying to figure out how to help dogs in your classes, or an instructor who wants to design a special program just for stressed out dogs, this book is for you. This training program can change your dog's life!